Having a high quality, professional vocal recording is crucial in the day and age of the savvy listener. We’ve partnered with a master recording engineer who knows the singing voice, uses the latest technology and equipment to capture stellar vocals, and can help to bring your vision of a great recording to fruition. Our recording engineer extraordinaire Todd Urban has been our go to guy for many of Voice Soaring Studios clients. Jeff has had the joy of recording many times with Todd including the audio tracks for the “Let Your Voice Soar” instructional program. Todd Urban has been a part of the NYC/NJ recording scene since 1997. His studio work has taken him from capturing all genres of performances at Urban Sound Studio to working throughout numerous countries where his services were needed. Todd is an Apple Certified educator in Logic Pro X and a Product Specialist and Educator for Softube Studios. 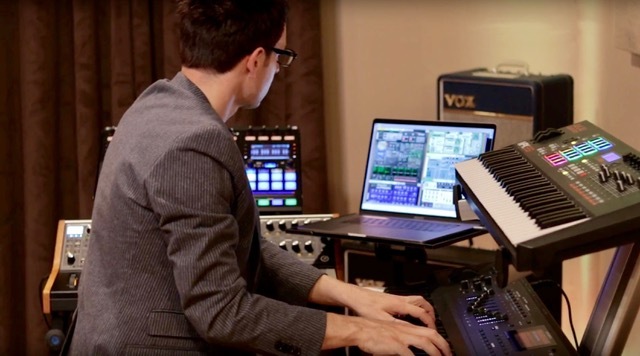 His tutorials and Skype school on mixing, studio setups, product releases, and recording tips have led to lecture positions at top conventions and networked Urban Sound Studio with many of the top recording studios throughout the world.